Vern Cotter has achieved what none of his predecessors as head coach could do by steering Scotland to an all-time high of fifth place in the World Rugby Rankings. Following their first win over Wales since 2006 Scotland have moved above Saturday’s vanquished opponents and South Africa in the rankings, which were first introduced in October 2003, after gaining 1.28 rating points. Scotland are now on 82.18 points, knowing that victory over England at Twickenham in a fortnight’s time would not only keep their Six Nations title bid on track but also make them firm favourites to claim a top four spot by the time the Rugby World Cup 2019 pool draw takes place on 10 May. Watched by British and Irish Lions coach Warren Gatland, a number of Scotland players will have done their chances of flying off to New Zealand on tour no harm whatsoever, notably man of the match Finn Russell who took to the goal-kicking duties with aplomb in the absence of injured captain Greig Laidlaw. The fly-half was successful with all seven of his attempts at goal, kicking five penalties and converting both of Scotland’s tries, scored by wingers Tommy Seymour and Tim Visser. For Wales, Liam Williams capped another impressive display with his third try of the Championship but Leigh Halfpenny had a rare off-day with the boot as the visitors fell to a 29-13 defeat at Murrayfield. Recent matches between Ireland and France have been tight and Saturday’s at the Aviva Stadium proved no different. Two Camille Lopez penalties put Les Bleus 6-0 up but they failed to add any more points in the second half as Ireland gradually took control thanks to a half-back masterclass from man of the match Conor Murray and the fit-again Johnny Sexton. 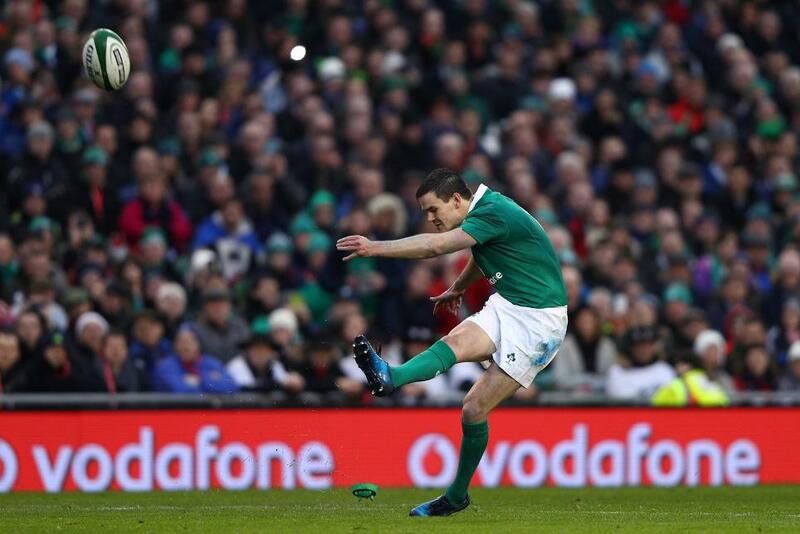 Murray’s 30th-minute converted try saw Ireland head into the break with the slenderest of advantages, before Sexton passed the 600-point mark in international rugby with a couple more penalties and his first drop goal for five and a half years. His replacement Paddy Jackson added the final three points from the tee as Ireland maintained their four-year unbeaten home record in the Championship. The victory saw fourth-placed Ireland gain nearly half a point to leave them exactly two points better off than Scotland, on 84.18 points. No points were either won or lost in the final match of the third round, Sunday’s much-talked about game between England and Italy, due to the near 20-point difference between the sides. Hoodwinked by Italy’s tactics at the tackle area, England struggled for the first 40 minutes and found themselves trailing at half-time to the Azzurri for only the second time in the test match history. But they rallied well to claim their 17th consecutive test victory and stay on course for back-to-back Grand Slams. Should they defeat Scotland and Ireland in their remaining two fixtures Eddie Jones' men will also surpass the world record of 18 consecutive test victories held by New Zealand and Lithuania. Dan Cole rumbled over for his fourth test try to sooth the nerves of the anxious Twickenham crowd but a drop goal from Tommaso Allan and Giovanbattista Venditti’s opportunist try on the stroke of half-time gave the visitors a 10-5 lead. 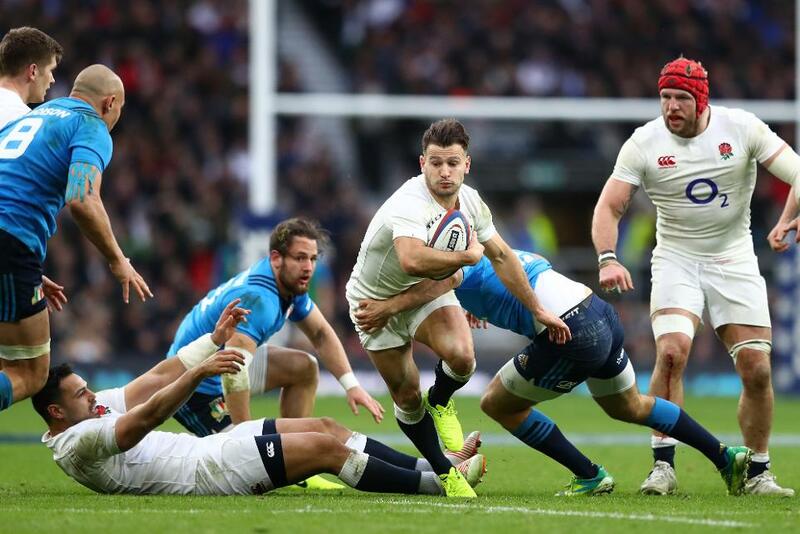 Quick thinking from Danny Care and a good finish from Elliot Daly got England back on track at the start of the second half but Italy were only 17-15 down with 20 minutes left to play after Michele Campagnaro weaved his way through the defence. A brace of tries from replacement Jack Nowell, either side of Ben Teo’s second try of the Championship, gave the scoreline a much more flattering look as England closed out a 36-15 victory. The Six Nations takes a break now until 10 March when Wales entertain an Ireland side looking to keep up the pressure on England at the top of the table, before Saturday's double bill features Italy versus France and the most eagery-anticipated Calcutta Cup clash for many a year as Scotland travel to Twickenham. Click HERE to join the Front Row to be the first to receive all the latest news and ticketing updates for Rugby World Cup 2019.